Pacific Northwest National Laboratory Laboratory Fellow Jim Fredrickson has accepted a provisional appointment as a member of the National Research Council's Committee on the Astrobiology Strategy for the Exploration of Mars. The appointment is from January 12, 2006 through September 30, 2007. The committee will undertake a study that defines a scientific strategy for the search for life on Mars. The new committee was formed at the request of the National Aeronautics and Space Administration (NASA). The committee members will consider techniques appropriate to the detection of extinct or extant life in situ and in the laboratory. In his new role, Fredrickson attended the first two joint meetings of the Mars committee and the Committee on the Origins and Evolution of Life (COEL) January 23-25 in Irvine, CA and May 10-12 in Washington, DC. Fredrickson's research includes the microbial ecology and biogeochemistry subsurface environments using geochemical and molecular approaches. 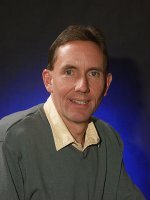 He co-edited the book Subsurface Microbiology and Biogeochemistry published by Wiley-Liss, Inc. in 2001.